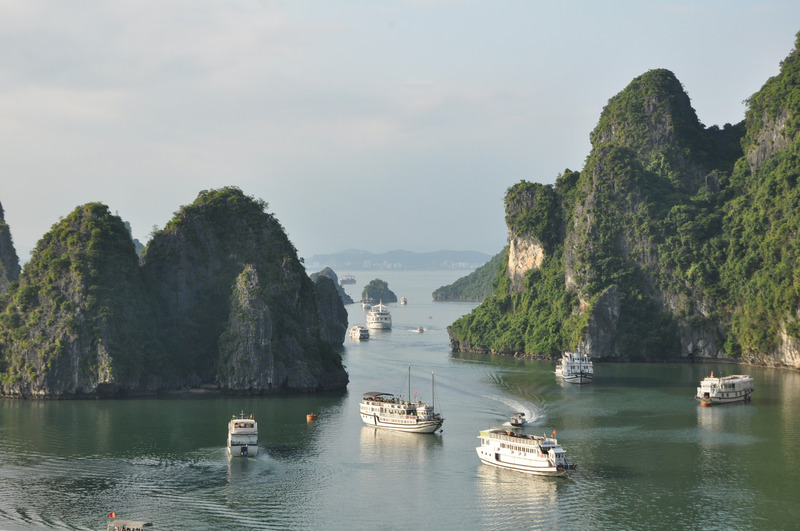 If you are here, you must be thinking of crossing Halong Bay off your bucket list. First of all, wonderful choice. If you haven’t visited Halong Bay, you haven’t seen Vietnam. Second of all, if you have done the research, tourism is booming here, resulting in tourists being drown in countless choices, and all sort of advertisement. Now, when looking at decisive elements for a trip to Halong, you might want to check the weather or the duration. HOWEVER, it’s the CRUISE that you must prioritize, considering the nature of the trip where you are going to be in the middle of the bay, surrounded by water, and having no connection to the land for days. Hypothetically, more leaning towards literally speaking, a wrong pick for the cruise will ruin the whole experience. 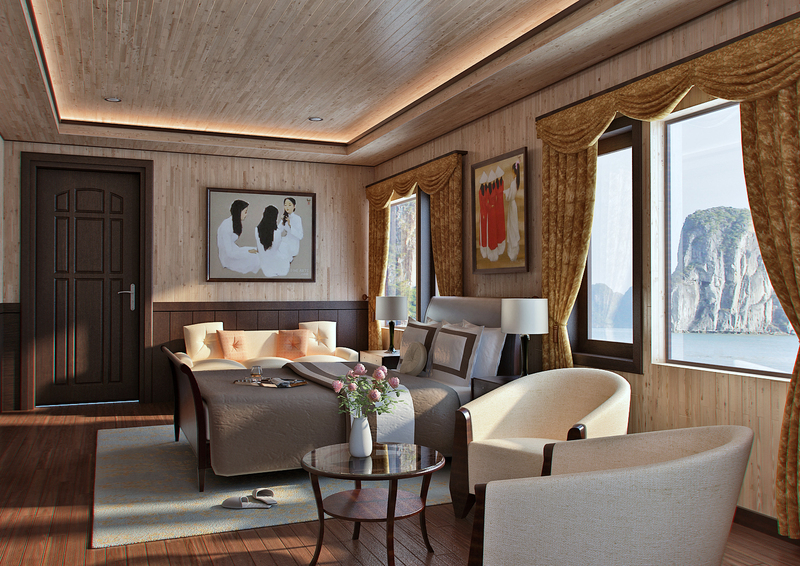 So here is the comprehensive guide to book the best Halong Bay Cruise. Where to book the trips? What to expect from a good cruise? What activities does a cruise company offer? 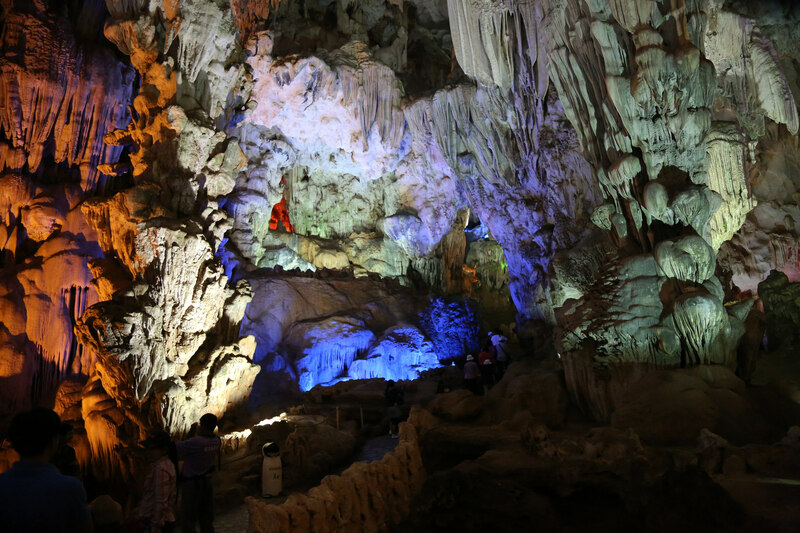 Halong Bay is a home for over 1600 limestones which are roughly 500 million-years-old, topped by thick jungle and have cave formation inside. The bay is not somewhere you can visit in 1 day, considering the traveling time from Hanoi to the bay would take 4 hours each way. The cruise companies normally offer trips from 1 days to 4 days. It’s ideal to spend 3 days 2 nights at the bay, if you have time, or else, 2 days 1 night would be lovely as well. If you are going to stay in Hanoi first, it is easy to book a tour right through the hotel/hostel reception. They can also provide you the contact of some cruise companies’ offices where you can get professional advice on which trip would fit you best. Even at the airport, there are stalls from cruise companies where you can book a trip, leave your accommodation address and have them pick you up. However, every now and then, these ways can be a one-way ticket to a ripoff. It is best to book through reliable and big tourist agencies. Doing your own research before landing is definitely the key. 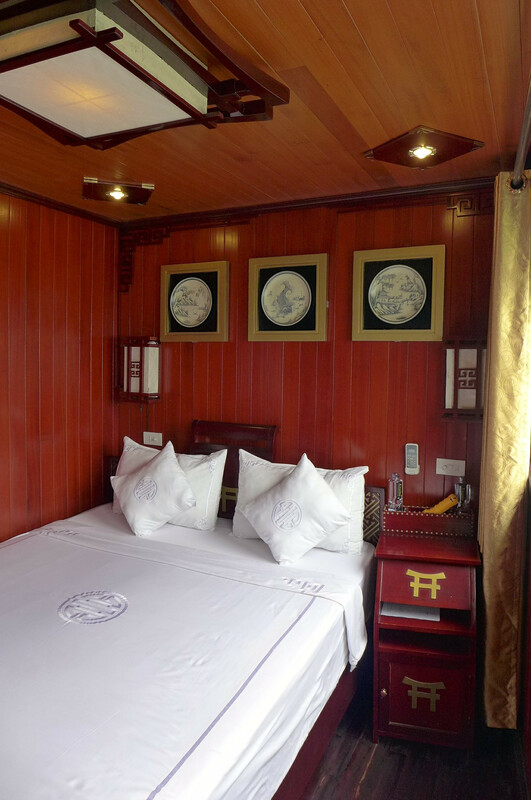 Tourists can certainly choose to spend the night in hotels that can be found on the land around the bay, however, nothing is like sleeping on a cruise in the middle of Halong bay then waking up with the most enormous, breathtaking view you might have ever seen in your entire existence. 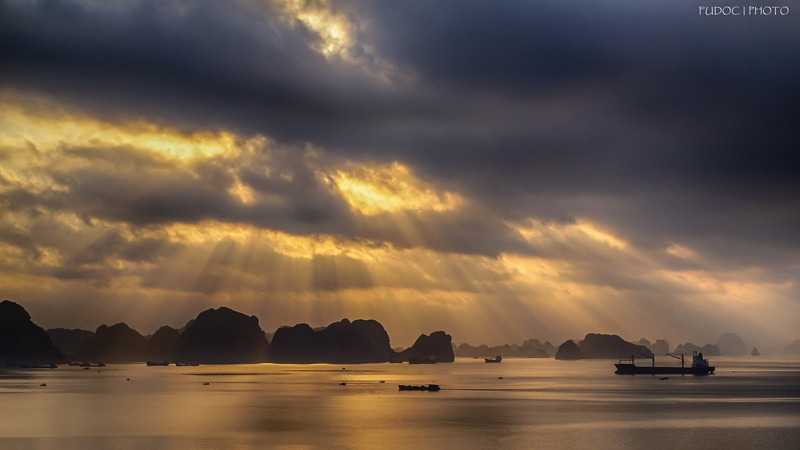 Halong Bay is a UNESCO World Heritage Site for a reason, and the significance of its nature is what put the bay on the map. These are the real basics, however, there were still many cases tourists end up in rooms with unwanted insects, no hot water, no proper food and reckless cruise attendants. To avoid such issues, it is essential to pay a decent amount for the trips. It is understandable that some tourists want to reach for the cheapest deal on the market, but if it is under $100 per night, the cruise is hardly a good deal. Normally, the range is from $100- $150 for a basic, fully convenient night on a standard cruise and can easily exceed $300 for a night on a luxurious cruise. Note: All tourist cruises in Halong Bay are painted in white. If you find deals on the Internet in which the cruises (in photos) are not white, it is certainly scams and you should defintely stay away. Tourists should also expect to receive access to multiple exploring destinations through the cruise. Even though all the cruises are allowed to park in some certain areas where the water is extremely deep, they must provide small transportations (boats or canoes) to send visitors to activity sites in the bay. The itineraries can be different depends on which activities tourists pick when booking the tour. These villages are formed by generations of fishermen in town. 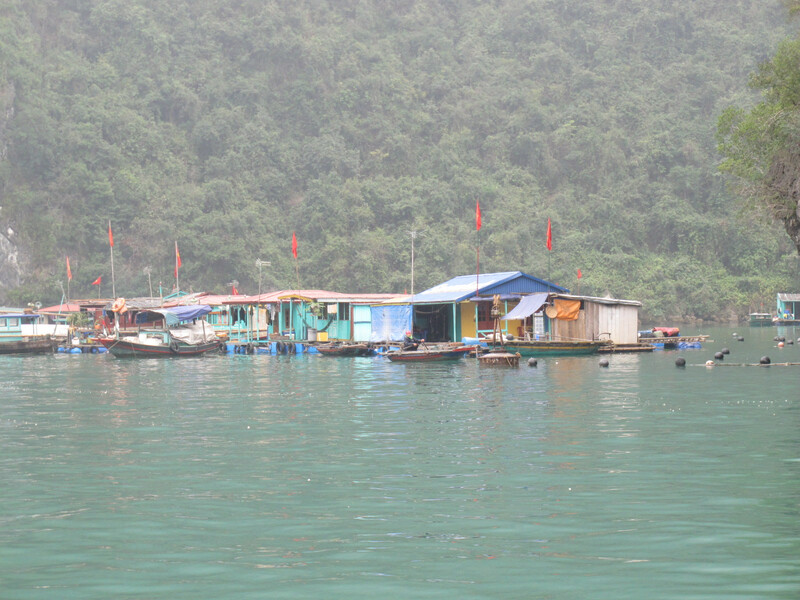 The residents live on the water their whole life and will be able to show you Vietnamese traditional fish farming. 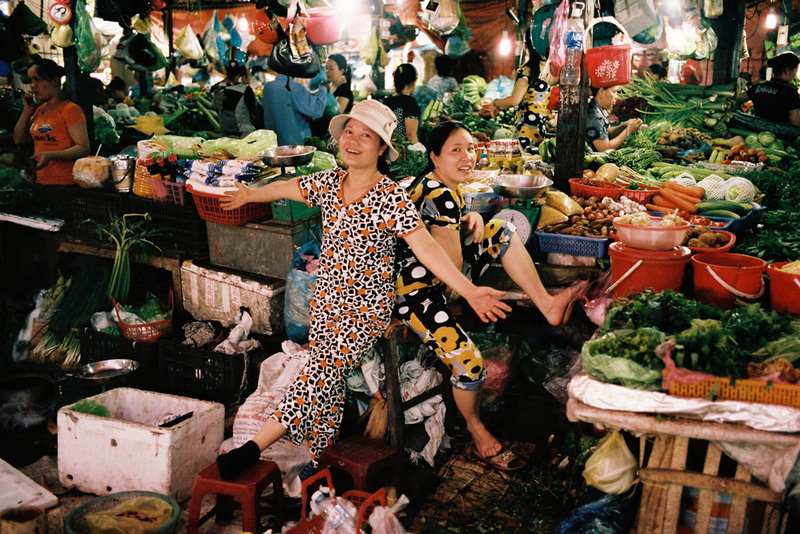 Beside pisciculture, tourists can also visit pearl farms. If you are curious how the villagers live when their houses are literally floating, it is worth paying them a visit. 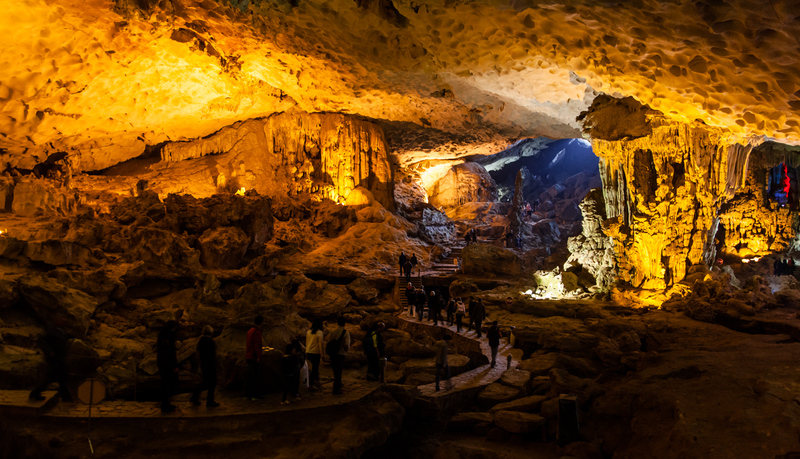 Cat Ba is the biggest island in Halong Bay, where nature serves visitors a heart-stopping view. The only way to approach the island is by boat, and the best way to explore the island is by bicycle. 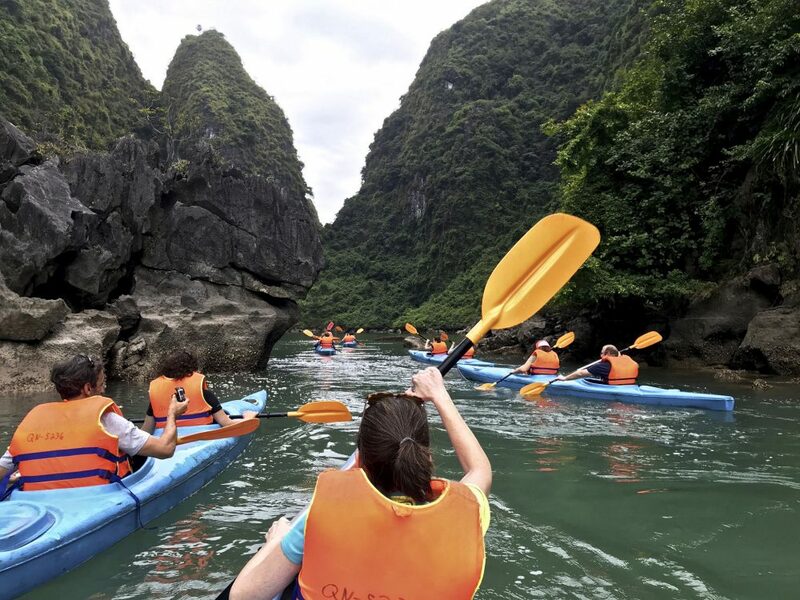 On the isle, you can find a wide range of wild species in their natural habitats, hidden waterfalls, thick jungles, limestone hills, significant caves, and lakes as well as mangroves. The diversity of nature on the island is absolutely magnificent and strictly preserved by the government. The island is home to extensive groups of monkey, 2 beautiful beaches, and marvelous hiking routes. 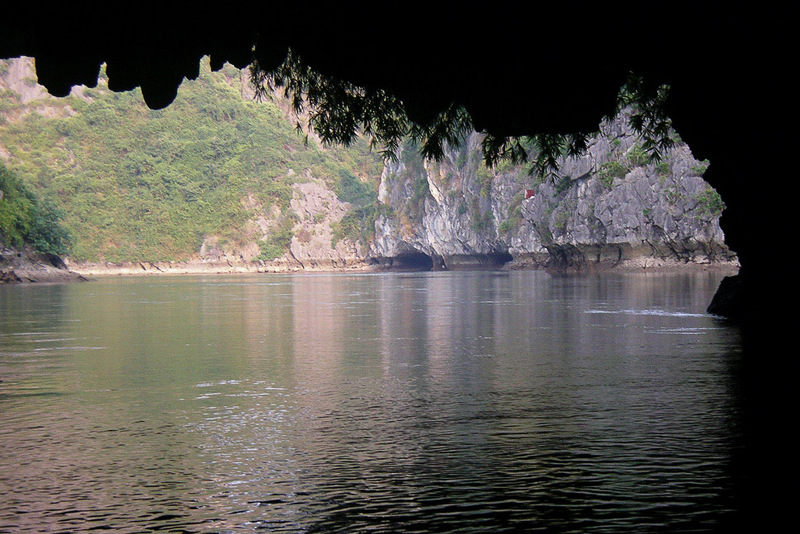 This is the one spot you cannot miss out when exploring Halong Bay. 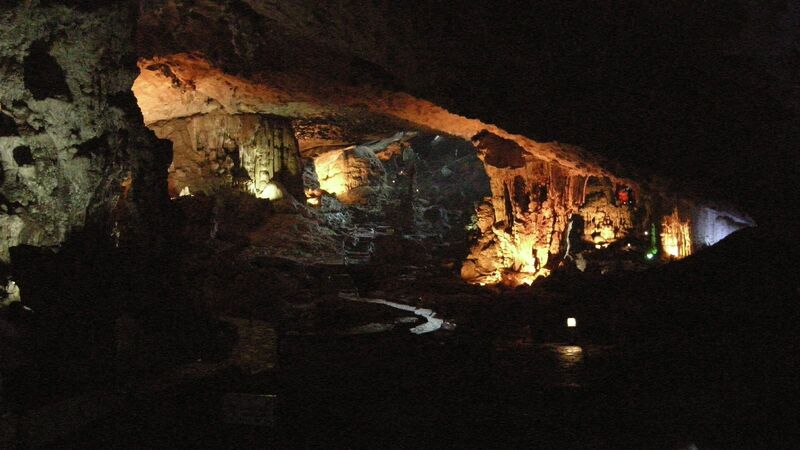 There are several destinations for this activity. Tourists can rent a kayak and swim it around the limestones and explore small islands in the bay. Clear and blue water, large space and calm tides, Halong Bay is the perfect location for the experience. Though you are surrounded by water, it is not allowed to swim anywhere you want… well technically, sometimes people fall into the water and don’t have a choice… but you know what I mean. There are several lovely beaches around the bay that are qualified for swimming with life jackets and lifeguards available all day. Just make sure the itinerary you pick give you enough time to enjoy the sun. The water is best for swimming from April until September. It is now very regular for common for cruise companies to offer fun activities on board. Tourists can find offers like cooking classes, morning yoga classes or drinks and cocktail classes (hands down everyone’s most favorite). It is important to ask if there are stops for brunch or lunch in the package. 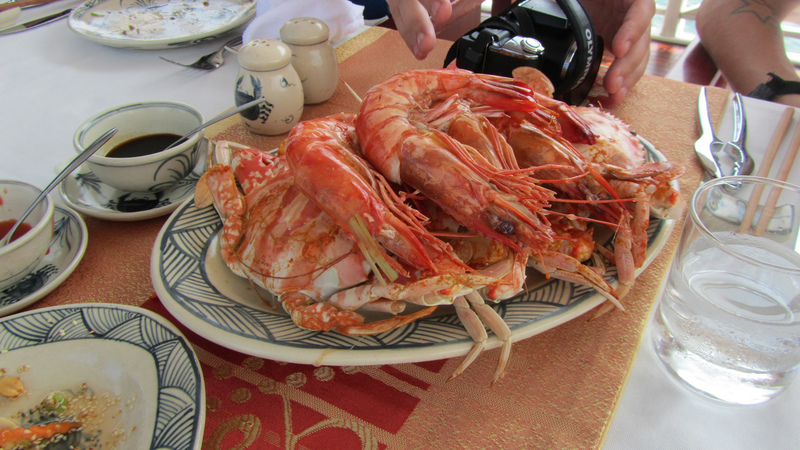 Regularly, it is very common that the package will include food during the day out exploring, however, some cruise companies do not mention this and do not provide it. Be very detail with all the information you receive for your own sake. All above are what you should expect to find in a decent cruise. There are hundreds of offers floating on the market, and every company will try to advertise their packages as the ultimate ones. It really depends on your research before heading towards the destination, and whether if you know what you personally need as a buyer. Make sure you check reliable sources for reviews by former visitors. You can also find local help right here!